In a recent Deloitte study, 89% of mobile users reported that they check their phones within the first hour of waking up, with 62% claiming to look at their phones within 15 minutes. And what are they most likely to check first? Text messages. Of course it follows that text message campaigns can also be leveraged as a powerful recruiting tool. According to TextRecruit, recruiters using text messaging are achieving 99% open rates and 28% response rates, with average response time under 15 minutes. So, how do you craft your messaging and manage a text campaign? What are key rules and best practices associated with text message recruiting? Brevity. In text recruiting, concise content is king. This is not an online job posting or an email communication; your goal is to craft a brief message with basic facts, and always include a link for candidates to follow up. 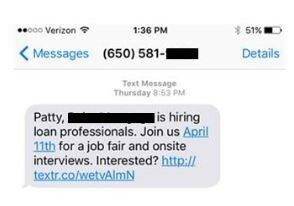 Text message links typically direct candidates to a landing page promoting an event, an RSVP portal or directly to your ATS to apply. “Your brand is the single most important investment you can make in your business.” (Steve Forbes) The same holds true when it comes to your investment in recruitment branding. Promote your employment brand, relentlessly on all communications, including social: Glassdoor, LinkedIn, Facebook, Instagram, Twitter, etc. Share both personal and professional experiences. It’s what connects us to our world. Give people a reason to connect with your employment brand through all of your media channels—and they’ll share your organic, clever content with their friends and colleagues. Be sure to promote your organization’s unique employment value proposition at every touchpoint with consistency in style, tone and messaging. Recruitment marketing can send chills down your spine when the unexpected hits. Problems can creep up on you and challenges often need to be solved ASAP. 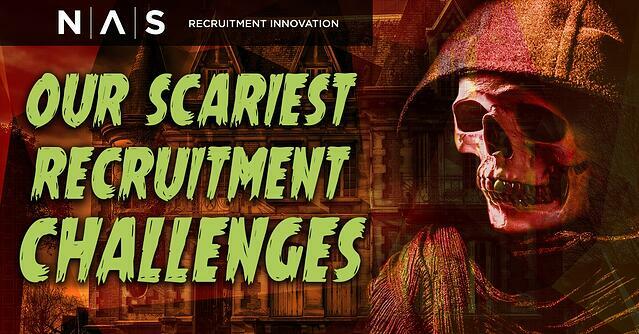 In honor of Halloween, we asked the NAS team to tell their scariest recruitment stories and how they fixed the frightening for our clients. My client’s career site provider contract was expiring at the end of the month. Meanwhile, the client did not have a new solution in place. They needed an interim way to handle job-seeker site traffic while they transitioned to a new career site. NAS quickly developed a landing page rolling out the client’s new employment brand, and linked job seekers to the client’s ATS. This strategy provided a seamless user experience, and allowed the client and NAS the necessary time to develop additional content for their full career site. From programmatic, PPC and social media to the latest developments in artificial intelligence (AI), the job search has come a long way. Yet there are many aspects of recruitment which haven’t changed over the years, and for good reason: because they still work. Here, we take a look at 5 tried-and-true perennial strategies that our clients continue to successfully use in their recruitment efforts. Laundry-listing. Whereas online job search is generally restricted to defined search parameters, print facilitates the opportunity to advertise positions across disciplines. For example, if your company has openings across several job disciplines, you can run one print ad for openings in all areas. In the online job posting format, advertised jobs are generally tied to individual job requisitions in an ATS. These days it seems that HR recruiting is moving at warp speed. With so many new technologies coming to market, it’s easy to become overwhelmed and get lost in the shuffle. How can you be sure that your recruitment spend is allocated most effectively? 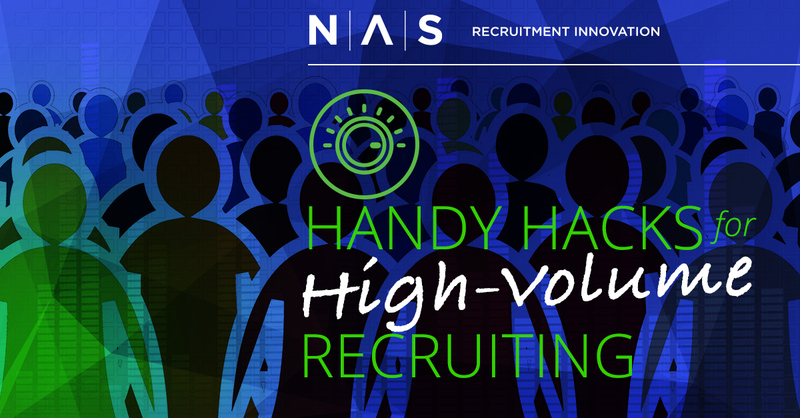 How can you streamline your efforts in order to produce timely, accurate results for your high-volume recruiting needs?